Reynolds Academy Flight 801 to Vancouver takes off! Reynolds Academy Year 3 pupils have flown to Vancouver - without leaving the school! 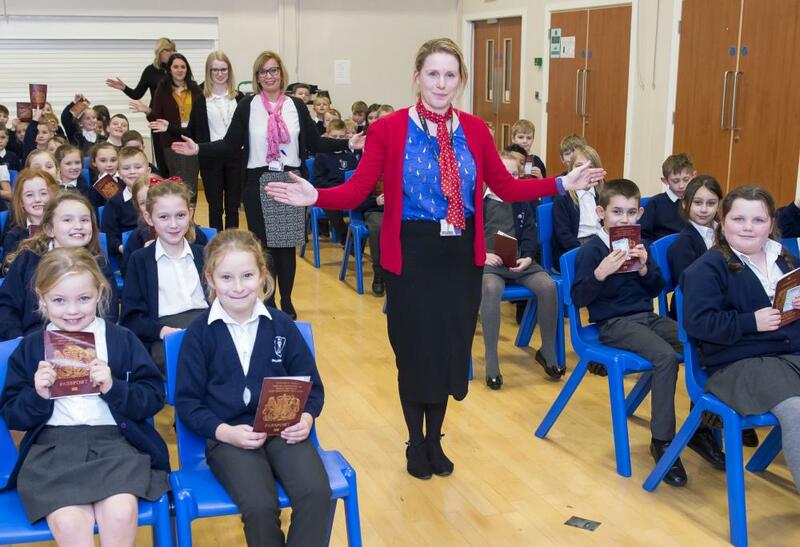 The pupils were taking part in their latest project entitled 'Around The World In 80 Days' and, to make it more exciting, staff turned the Academy hall in to an aircraft, complete with seating, cabin crew and captain. There was even an in-flight movie. The captain announced that Reynolds Airways Flight 801 would be cruising at 33,000 feet giving wonderful views of the Rocky Mountains. The pupils spent the morning packing their bags, applying for passports and visiting the passport office to make the experience more authentic. They had to go through security to board the plane and staff acted as cabin crew, giving a flight safety demonstration before take-off, and then serving refreshments. The project is all about travel and pupils will be studying seven countries over the coming weeks. Carolyn France, Reynolds Academy Year 3 Teacher, said: "Today we flew to Vancouver in Canada. It was a surprise destination. The children painted flags and learned about the country. They also designed an in-flight meal. There were some interesting meals such as Pringles and mash potato and a full Steak Sunday dinner. "Some of the children have never flown before or owned a passport so it was a good experience for them, as well as a fun way to learn about Canada." Pupil Lexi Burnett said: "It was really fun to fly to Vancouver. We had passports and everything. It was really interesting." 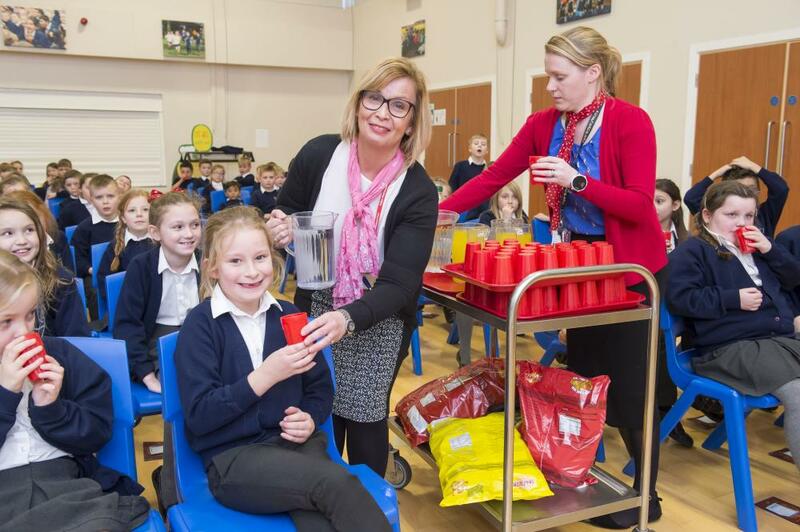 Cabin crew (Teaching staff) Ms Brecken and Mrs France serve refreshments to passengers. Front row: Imogen Read, Amie Barnsley and Grace Barley. Second row: Faith Richardson and Amber Greaves. 'Cabin crew' take the passengers on Reynolds flight 801 through the safety procedures. Front row: Imogen Read, Amie Barnsley and Grace Barley. Second row: Faith Richardson, Amber Greaves, Alfie Bellamy and Sophia Georgiou Brown. Teaching staff (front to back) Mrs France, Ms Brecken, Miss Mann, Ms Brealey and Mrs Woodward. 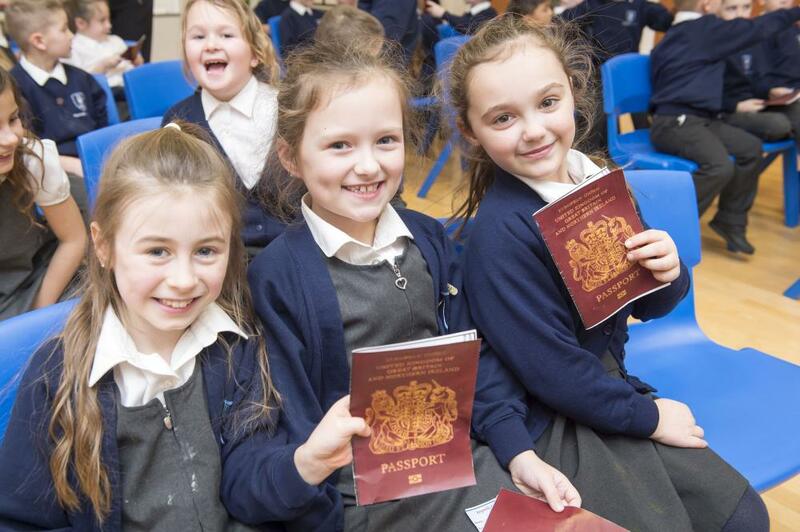 Showing off their passports on Reynolds Academy flight 801 to Vancouver are Year 3 pupils (l-r) Summer Thompson, Maisy Wright and Lexi Burnett.